Jenni Olson delves into her obsession with Hitchcock's masterpiece, and its connection to the tragic death of one of her dear friends. Jenni Olson is an acclaimed filmmaker, writer, archivist and online pioneer. She is also one of the world’s leading experts on LGBT cinema history. Since premiering at Sundance in 2015, her innovative feature-length essay film The Royal Road — reflecting on an array of topics from the Spanish colonization of California to Alfred Hitchock’s Vertigo — has earned numerous awards including Best LGBTQ Film from the prestigious Ann Arbor Film Festival. The Royal Road will be released on DVD and digital on September 6th. Visit RoyalRoadMovie.com for more info. As an experimental filmmaker, I always enjoy engaging with other film texts as part of my own storytelling. In my new essay film, The Royal Road, I reference a batch of my favorite Hollywood films — all of which deal in one way or another with themes of desire, loss and nostalgia. 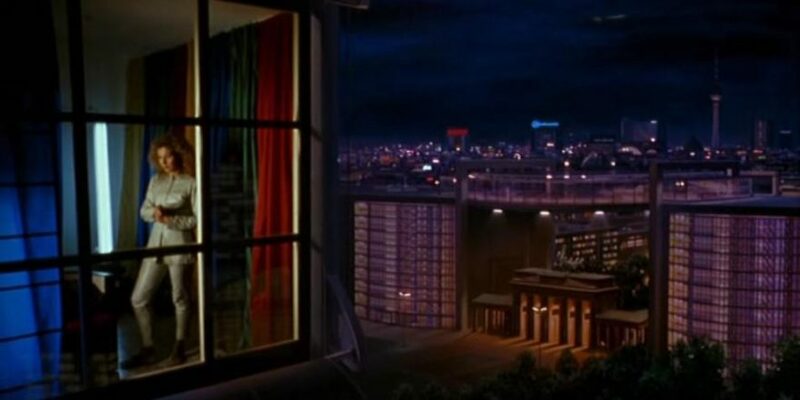 During my research and writing process, I found myself most strongly drawn to Alfred Hitchcock’s Vertigo. This arose organically since my film treads many of the same landscapes and indulges many of the same themes as Hitchcock’s masterpiece; but I take an entirely different cinematic approach (I shoot 16mm static, durational urban landscapes with no actors, and no human figures at all in the frame). 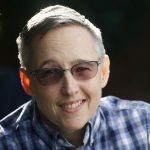 I first moved to San Francisco from the Midwest 25 years ago (in December, 1991) to be co-director of Frameline’s San Francisco International LGBTQ Film Festival. One of the many benefits of my new job was the daily view out our front window, as the Frameline offices were fortuitously located directly across the street from one of Vertigo’s most significant locations: Mission Dolores. On Monday September 30, 1957 Alfred Hitchcock and his crew began principal photography on Vertigo. Their very first shot (the scene in front of Mission Dolores as Kim Novak gets out of her car) was filmed at 8:15am. Over the years, I have often had the sensation that living in San Francisco is like living on the set of Vertigo. The film has been a muse — and a Proustian Madeleine — for me for so long now, hardly a day goes by when some passing view doesn’t remind me of Vertigo’s intensely melodramatic, cinematically irresistible atmosphere. In 1995, my Frameline festival co-director Mark Finch ended his life by jumping off the Golden Gate Bridge. No combination of words can describe the impact that Mark’s tragic departure had on the LGBT film community and on his friends and family. While his loss, and that moment of its occurrence, has become easier to bear with the passing years, it remains a chasm in time for those of us who loved him. And a trauma, the very thought of which still induces a sensation in me strangely akin to vertigo. I think it’s my Scandinavian stoicism that sends me into experimental or oblique forms of expression. I can’t bear to approach my emotions too directly, can’t give myself permission for simple catharsis, which too closely resembles self-pity. Poetry, tangents, my non-fictional interests circle the topics where my pain resides. 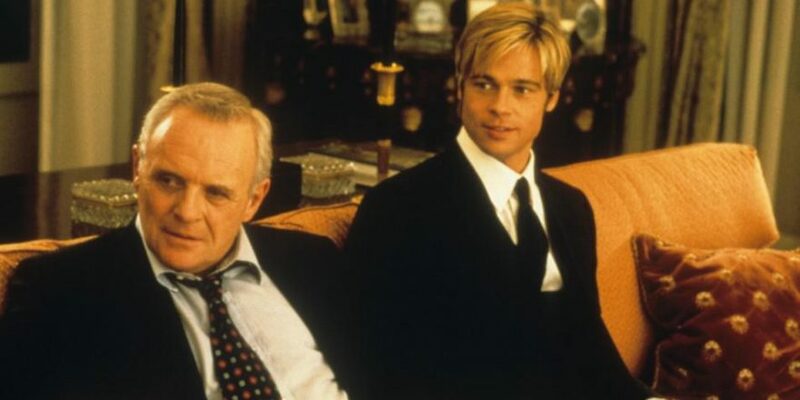 Resulting in my need to describe the entire history of suicide and the Golden Gate Bridge as a method of coping with my one particular loss; my 2005 film, The Joy of Life, was the way that I grappled with Mark’s 1995 fatal leap. Vertigo had been a frequent point of reference in my friendship with Mark. In the three years we ran the festival together, it was always his dream to create a Vertigo locations tour for our visiting filmmakers as a special hospitality offering. In those three years, we also shared a telephone voicemail box. I always thought that the joint four-letter PIN he created for us, JUDY, was a reference to the tragic female vocalist and gay icon who sang “Over the Rainbow,” but in recent years I’ve come to think its origin was actually Judy, Kim Novak’s character from Vertigo who appears in the second half of the movie, after Madeleine’s death. “Alfred Hitchcock’s Vertigo was one of my friend Mark’s favorite movies. He once drove me down to Fort Point, under the bridge, to show me the spot where Kim Novak’s Madeleine jumped into the Bay; where Jimmy Stewart’s Scottie pulled her out. Hitchcock actually shot most of the scene on a studio lot and installed a convenient concrete stairway up to the seawall (which doesn’t really exist at Fort Point) so Scottie could suavely walk up the steps carrying Madeleine’s limp water-soaked body back to the car. For a long time after Mark killed himself, I didn’t really believe he was dead — no one had seen him jump and his body had not yet been found (he left his briefcase leaning against the railing at mid-span and a pile of suicide notes on his desk). I would see people on the street and think it was him — like Jimmy Stewart after he thinks Madeleine has jumped from the bell tower at San Juan Bautista. And, of course, the amazing thing in the film is that Scottie does find her again, because, of course, she didn’t really jump. Sadly Mark was never reincarnated as my Judy, I never got that second chance. Considered an unconfirmed suicide by the California Highway Patrol, his body drifted in the tides of the Pacific for nearly six weeks before being found, seven miles out to sea, off the coast of Pillar Point Harbor, some 25 miles south from where he’d jumped. Obviously, in that Fort Point scene, Kim Novak’s Madeleine (pretending to be in her melancholy nostalgic fugue-state as Carlotta Valdez) doesn’t actually mean to kill herself and we eventually realize it’s all part of an elaborate plan to make Jimmy Stewart’s Scottie believe she really is suicidal (plus it’s a great way to set up the hottest scene in the film, in which they go back to his apartment). In my own filmmaking style, which has absolutely no dialogue and consists entirely of 16mm static urban landscape shots and a lyrical voiceover, I am aspiring to a related but very different kind of pure cinema — an enormous amount of emotional resonance and meaning is conveyed simply via the quiet image of the landscape itself. In the midst of this peaceful scene, my viewers are delivered into their own emotional landscapes (the rich personal associations and memories that exist inside of them from, loss and grief to love and happiness). “Early in the film, Scottie goes to meet his old friend Gavin Elster at his shipyard office. Out the window of the studio set behind him we see the rear-projected image of the cranes at the San Francisco Dry Docks down at Pier 70. ‘The things that spell San Francisco to me are disappearing fast,’ says Elster, voicing a perennial lament clearly as old as the city itself. 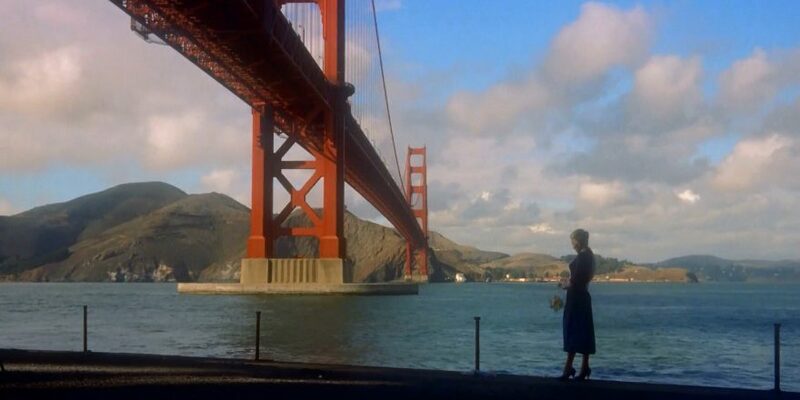 In Vertigo’s original screenplay (in a lengthy reflection removed from the final shooting script), Gavin Elster gives an impassioned description of the siren lure of San Francisco and its impact on his wife. ‘You know what San Francisco does to people who have never seen it before,’ Elster begins. ‘All of it happened to Madeleine, but with such an intensity as to be almost frightening. In 1996, the year after Mark died, I got to see the restored re-release of Vertigo at the Castro Theatre. I went to a weekday matinee. I left the theater in a wonderful post-film altered state, walked calmly around the corner down 17th Street to Dolores and was drawn like Carlotta to Mission Dolores. I wandered in the cemetery, experiencing a fugue-like combination of bliss and melancholy — the weirdly vivid sensation of feeling even more alive that is so often facilitated by seeing movies on the big screen, especially the films that touch us so deeply and generate unique personal meanings in our lives.